A business credit score is a measure of your company’s financial health and credit history. Lenders use the score to assess your company’s ability to make payments on time. The information used to calculate your business credit score includes payment history and industry information, which can be seen by your vendors, suppliers, lenders, and creditors. It’s important to keep an eye on your credit scores. You can verify your personal and business credit scores for free with Nav. It also offers access to monitoring and fraud protection for a low monthly fee. Get your free credit score today. A business credit score gives a quick summary of the information on your business credit reports. Credit bureaus typically use public data, information reported by vendors and lenders, and self-reported information to generate your credit score. Accurate and relevant data can help your credit score like your payment history and level of credit utilization. Few business owners know that there are four main business credit scores and up to eight or more total scores. Credit scores often have a business credit rating scale between 0 to 100. A score of 100 means that a business is least likely to have late or delinquent payments. To help, we’ve written this ultimate guide on business credit scores, including what they are, why they’re important, and how to build them. 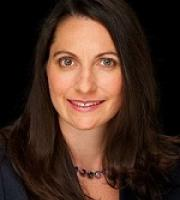 Dun & Bradstreet: PAYDEX Score: 0-100 (good score is 80+). Experian: Credit Ranking Intelliscore: 0-100 (good score is 76+). Equifax: Business Payment Index: 0-100 (good score is 90+). FICO SBSS: LiquidCredit Small Business Scoring Service: 0-300 (good score is 160+). 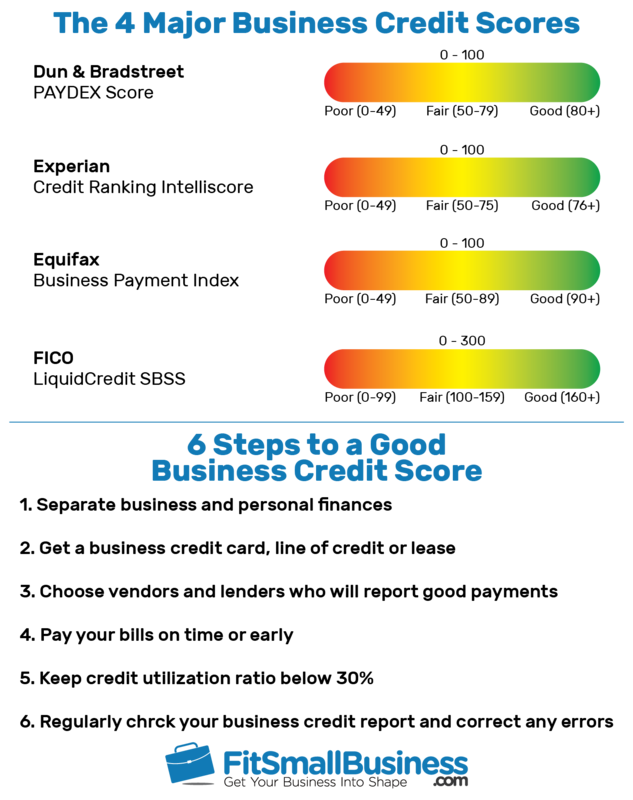 Unlike personal credit, your business has up to eight total business credit scores. Each of these scores has a credit rating scale which helps show what’s considered to be a good credit score. For example, Dun & Bradstreet, Experian, and Equifax’s most common business scores go from 0 to 100 compared to FICO’s that goes from 0 to 300. Although there are eight total scores, the four most commonly used scores are D&B’s PAYDEX score, Experian’s Intelliscore, Equifax’s Business Payment Index, and FICO’s LiquidCredit score. Typically, you will have more than one credit score if any vendors or suppliers have reported your payment information. Dun & Bradstreet (D&B) is the most commonly used business credit score. D&B collects public business and industry information, payment history, and financial performance information to generate three individual credit scores for businesses. These three scores measure a company’s ability to pay its past and future debts as well as measure its overall financial solvency. The PAYDEX Score is a business credit score that analyzes a company’s payment performance during the most recent 12 months. The score ranges from 0 to 100 and a score of 100 signifies a perfect payment history on behalf of the company. The commercial credit score is broken down into three individual scores and predicts the likelihood that a business will become delinquent on its bills. A company that makes 10% of its payments 91 days overdue, on average, is considered to be delinquent. The financial stress credit score is used to measure the likelihood of business failure during the next 12 months. These scores are calculated using information including financials, comparative financial ratios, payment trends, public filings, and demographic data. The Experian credit score for businesses is most commonly used by banks and lenders. The Experian credit ranking Intelliscore uses more than 800 variables to assess the risk that a company will default or become delinquent on its payments. Generally, a good score for the Experian credit ranking Intelliscore is 76 or higher. Specifically, the Experian credit ranking Intelliscore gives insights into a company’s payment trends, public record filings, collections, and general business background. The result is a blended score calculated using both the business’s and business owner’s information. Unlike Equifax and Dun & Bradstreet, Experian doesn’t ask for self-reported information. Instead, it collects all the information themselves. Equifax is similar to Experian in that it’s typically used by banks and lenders when assessing borrower qualifications. However, unlike Experian, Equifax’s credit score for businesses is broken out into three individual scores. These scores take into account public business and industry information, payment history, and financial performance information. Business payment index (0 to 100): Measures payment history to past creditors during the past 12 months, with 100 representing early or on-time payments; a score of 90 or higher is considered to be a good score. Business credit risk score (101 to 992): Evaluates the likelihood that a company will become severely delinquent on its future payments, with 101 being the most likely; a score of 700 is a good business credit risk score. Business failure score (1,000 to 1,880): Measures the likelihood that a company will become insolvent during the next 12 months, with 1,000 being the most likely; a score of 1,315 is typically considered a good business failure score. Equifax uses such information as credit utilization, past delinquencies, length of credit history, payment history, public information, and past financial performance to calculate these numbers. FICO is unique in that it’s technically not one of the three major credit bureaus. Instead, FICO provides a business credit report based on information already gathered by Dun & Bradstreet, Equifax, and Experian. The credit score is known as the LiquidCredit Small Business Scoring Service (SBSS), and it’s most commonly used to approve Small Business Administration (SBA) loans. The FICO SBSS credit score range is between 0 to 300. If you want to be approved for an SBA loan or something similar, we recommend a score of 160 or higher. There are some lenders that will allow a score of 140. Since FICO doesn’t collect its own information, the way you can establish and build the credit score for your business is by focusing on the other three credit bureaus and their scores. There are four credit reporting bureaus that are used to establish your business credit. Dun & Bradstreet is the only one that requires you to create an account to start establishing credit. Experian, Equifax, and FICO, on the other hand, will collect and report information automatically without having you set up an account. There are three ways to establish your business credit with each business credit bureau. Get a D-U-N-S (Data Universal Numbering System) number: This is a unique nine-digit identification number similar to a Social Security number and is used to create your business credit file. You can apply for a D-U-N-S number for free on D&B’s website or through a credit monitoring platform like Nav. Provide at least three trade references: Trade references, similar to employment references, come from suppliers and creditors that you’ve done business with. Some of the easiest trade references are Home Depot, Lowe’s, and Staples. Alternatively, if you pay $149 per month for D&B’s CreditBuilder Plus service, D&B will contact vendors for you to verify that you are a customer and have been paying on time. If you want to learn more, we wrote a guide on how to build your business credit score. You don’t need to create an account or get trade references with Equifax or Experian. These bureaus look at the secretary of state records, collections records, and other public records automatically for new business filings. They can score your business solely based on demographic information. However, Equifax allows for business owners to self-report company information. This isn’t required, but like Dun & Bradstreet up-to-date and accurate information can benefit your Equifax business credit score. You can check and update your information by visiting the Equifax website. However, Experian is the only credit bureau that doesn’t ask for self-reported information. This means that you won’t have the ability to ensure the reported information is accurate until it’s been reported. You can check on credit score for your business by visiting the Experian website. Unlike the three credit bureaus, FICO provides you with a business credit score and not a business credit report. Specifically, FICO gets its information from the three major credit bureaus, and you don’t need to create an account. You can check your SBSS score through Nav. It allows you to keep tabs on your score in time, and it will even help you analyze your score. Unlike consumer credit reports ― which you are entitled to receive for free annually ― you have to pay for business credit reports. Depending on the comprehensiveness of the report and the reporting bureau that you use, this costs anywhere from $30 to $150 per report. By comparison, Nav lets you check your business credit scores for a monthly recurring cost of $24.99. Unfortunately, business credit scores aren’t free. More often than not, you will have to purchase them from one of the three main credit reporting agencies including D&B, Experian, and Equifax. Credit bureaus often package a “free” credit score as part of a larger package that you can purchase. However, with through an online credit platform like Nav you can access free information about the credit score for your business. It also offers free access to your personal credit score, two free summaries of your score and full business credit reports for a monthly subscription at $24.99. Receive a free summary of your business credit score. The three business credit reporting agencies also offer free company searches on their website. This helps you verify whether your business already has a credit score. You can read more about business credit reports and where to find them in our article on business credit reports. Your business credit score is important because it’s used by vendors, creditors, lenders, and other partners to assess the creditworthiness of your company. For example, a company with a high credit score can negotiate favorable terms with vendors or lenders while a company with a low credit score might receive unfavorable terms. “Building your business credit up from the beginning sets a solid foundation for your company’s image, protects your personal credit, limits your liability, and increases your credit capacity. Overall, business credit is similar to your own personal credit score and reveals a business’s ability to repay its debts. “Good business credit can ensure that small businesses get financing when they need it and under the best possible terms. Essentially, it is the lifeline of your business and serves to determine its financial reputation. These reasons and more make your business credit score extremely important. Further, anyone can pay to see the credit score on your business, and you probably have one already even if you haven’t submitted any information yourself. This makes it beneficial to understand your business credit report, including how to establish business credit as well as how to build your business credit. It’s common for people not to fully understand the differences between a personal and business credit score. Few small business owners know that along with your personal credit score, there are up to eight credit scores for your business. We will look at the differences between your personal and business credit score. Business credit takes into account private and public company data. Business credit typically doesn’t take into account personal information. Business credit can be pulled by anyone without your permission. There are four main business credit scores and up to eight total scores. However, your business credit can sometimes take into account personal financial information if you haven’t separated your personal and business finances with a business bank account. Further, your personal credit score will also typically be used alongside your business credit score when applying for a small business loan. “The largest difference between business and personal credit reports is a scary one ― the potential for fraud and identity theft. You can’t freeze your business credit reports, and they are publicly available. Anyone can request a copy of your business’s credit report. Even scarier ― most business owners have no idea what’s in theirs. Additionally, your business payment history is the most important factor in the development of a credit score for your business. Paying just a few days late can result in a late payment on your business credit and setting up alerts or autopay is a great way to avoid this. To get a perfect score in most business score models, business owners must pay their tradelines early, not just on time. Building your business credit is an important step for established companies that already have a business credit report. Some of the ways you can improve your score include separating your business and personal finances, opening a business credit card, paying your bills on time, and focusing on your credit utilization. Here are six tips to build business credit. Separating your business and personal finances is key to maximizing your business credit. How you handle your personal affairs should not impact your business credit, so don’t commingle them. To separate your finances, you’ll want to open both a personal bank account as well as a business bank account. Chase Bank, for example, has a business checking account that offers a wealth of flexibility for you the business owner. Alternatively, for other business checking accounts, you can check out our articles on the best small business checking accounts. And for the best business savings accounts, you can read our article on the best small business savings accounts. The best way to build business credit, such as personal credit, is to borrow money and pay it back in a timely manner. For example, getting a small business credit card and paying the balance every month is a good first step toward building a history of prompt payments. As a bonus, you can even earn cash back and rewards points if you choose the right business credit card. If your personal credit score is above 660, then you have a good chance of qualifying for the best 0% interest cards and highest cash-back and bonus offers. You can search and compare business credit cards through the FitSmallBusiness Credit Card Marketplace. If you can’t qualify for a standard credit card, try getting a card through Staples, Home Depot, Walmart, or other retailers that you buy from. These are relatively easy to qualify for and make good trade references for your business credit report. If your personal credit score is below 620, you may do better with a secured business credit card. A great way to build your business credit score is to have your vendors, suppliers, and lenders report good payments. If you have a positive payment history, ask your current suppliers and creditors if they report to the business credit agencies. Many vendors will agree because there’s no cost to report to the credit bureaus. If possible, going forward, choose creditors and suppliers that automatically report to at least one major business credit bureau. Some easy credit lines to have reported are Quill, Uline, UPS, Staples, Lowes, and Home Depot. This seems like a no-brainer, but to get your business credit as high as it can be, you have to pay every one of your suppliers and lenders on time. The bulk of your business credit rating depends on how timely you pay your business partners, suppliers, vendors, and lenders. The lower your company’s credit utilization ratio, the better it reflects on your score. For example, if you have a $100,000 business line of credit but only use a quarter of that, your credit utilization ratio is 25%. A high credit utilization ratio is anything above 30%. This shows creditors that your business is doing well enough financially that you don’t have to max out your credit line or have enough credit to draw on in the event of financial distress. Unlike personal credit, there isn’t a standard process for disputing errors on your business credit report. In fact, each bureau has its own procedures. For example, you can submit disputes electronically for the D&B and Experian business credit reports. To disputes items on an Equifax report, log into your account and contact customer service. Fixing an error on your business credit report, assuming that you have documentation to support your claim, usually takes about one month. We covered a lot of information on how business credit scores work. There are some questions that are asked more often than others, and we address those here. If you have any other unanswered questions, please feel free to share them with us on our FitSmallBusiness forum, and we’ll provide an answer. Here are some of the most frequently asked questions about how business credit scores work. Can a Business Get a Free Credit Report? Unlike personal credit reports, it’s not required that you receive a free business credit report every year. You can buy your full credit report directly from the business credit reporting agencies or use an online credit platform like Nav. How Can I Use My Business Credit Score as Leverage? You can use a strong business credit score as leverage when it comes to your business relationship with vendors, suppliers, and lenders. This can help you get more favorable terms on your business transactions, such as interest rates or a better repayment schedule. How Can I Maintain a Good Credit Score? Similar to improving your credit score, you can maintain a good credit score if you manage your debt responsibly and pay off your balances on time. You can also maintain a good credit score by keeping your balances low, leaving old accounts open, limiting your applications for new credit, and watching your credit report for errors. Personal FICO credit scores range between 300 to 850 and a score of 670 or higher is considered to be good. The business credit score ranges from 0 to 100 and a score of 80 or higher is considered a good score. As with personal credit scores, the higher your number, the more likely you’ll qualify for favorable terms. Business credit reporting agencies generally use public data, information reported by vendors and lenders as well as self-reported information to calculate your business credit score. Other scoring considerations include industry information, payment history, credit utilization, and financial performance information. A business credit score is used to assess the creditworthiness of a company. Credits scores on businesses typically measure the chance that a company will meet its future payment obligations. A credit score for a business takes into account both public as well as private information when making its measurements. 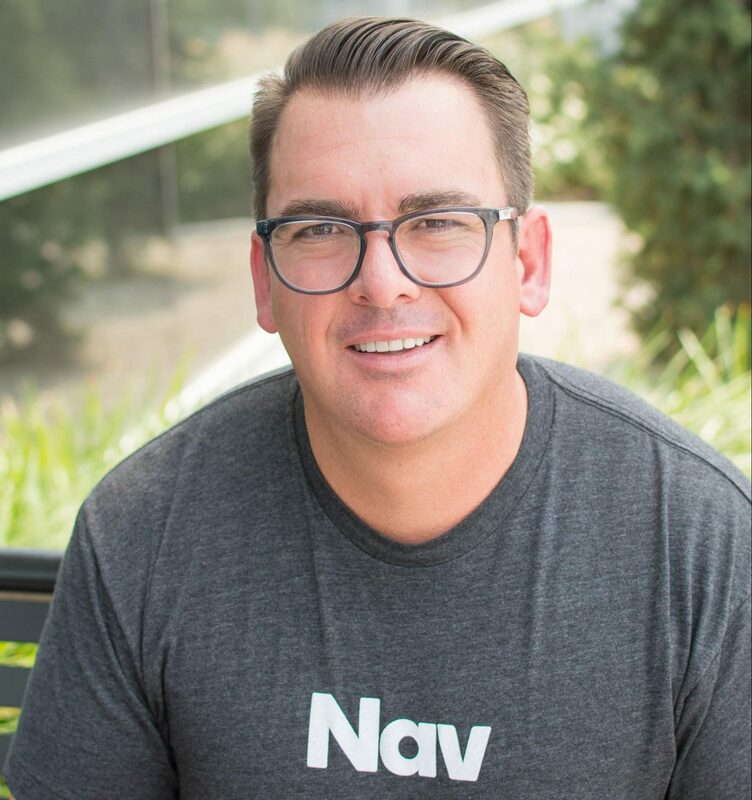 Nav is an online company that helps business owners manage their business credit with instant access to business and personal credit reports. It offers two free summaries of your business reports and offers full business credit reports starting at $24.99 per month.